Last weekend, Okan Onay, brought home a gold medal from the European Triathle Championships in Portugal. This was Okan’s first international competition since receiving a SportsAid Award through the GLL Sport Foundation earlier this year. The Triathle event took place in the searing heat in the Portuguese town of Setubal – famous as the birth place of Jose Morinho! The Triathle event consists of three elements – shooting, swimming and running. In the Junior Men’s event, athletes must shoot a laser pistol to hit five targets at a distance of 10 metres. They then swim 50 metres and run 800 metres, and the whole sequence is repeated 4 times. At the end of the event, Okan still had enough energy left for a sprint finish, just managing to resist a late challenge from one of the Portuguese athletes – an exciting race for competitors and spectators! Okan is coached at the White Horse Harriers athletics club and the Wantage Target Shooting Club. He recently started training with the Didcot Barramundi Swimming Club, and is grateful for the support he receives from all these local clubs and from GLL. 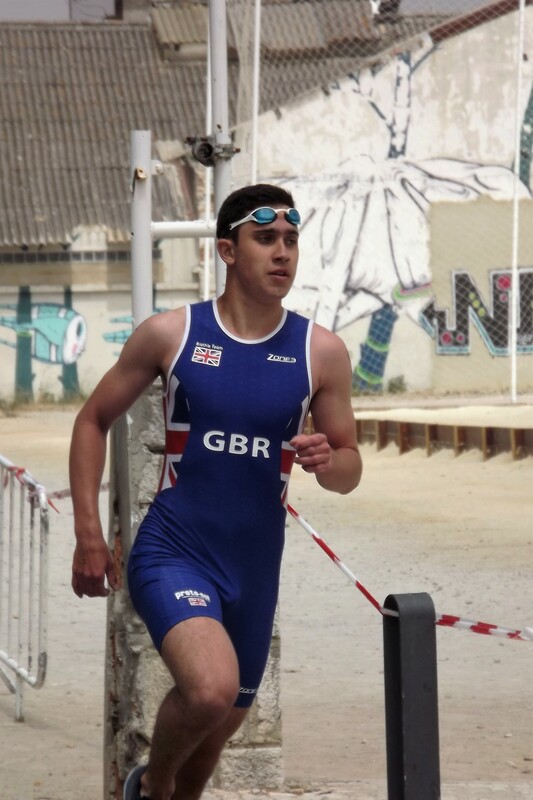 In September, he will be competing in Viveiro in Spain in the World Triathle Championships alongside his sister and fellow pentathlete, Eda, as well as another promising Oxfordshire Pentathlete, Lizzie Ryan. Good luck to all three athletes. It’s inspiring to see Okan’s dedication & training paying off. Congratulations Okan!